Strong metal durable and reusable board, can be used year after year. 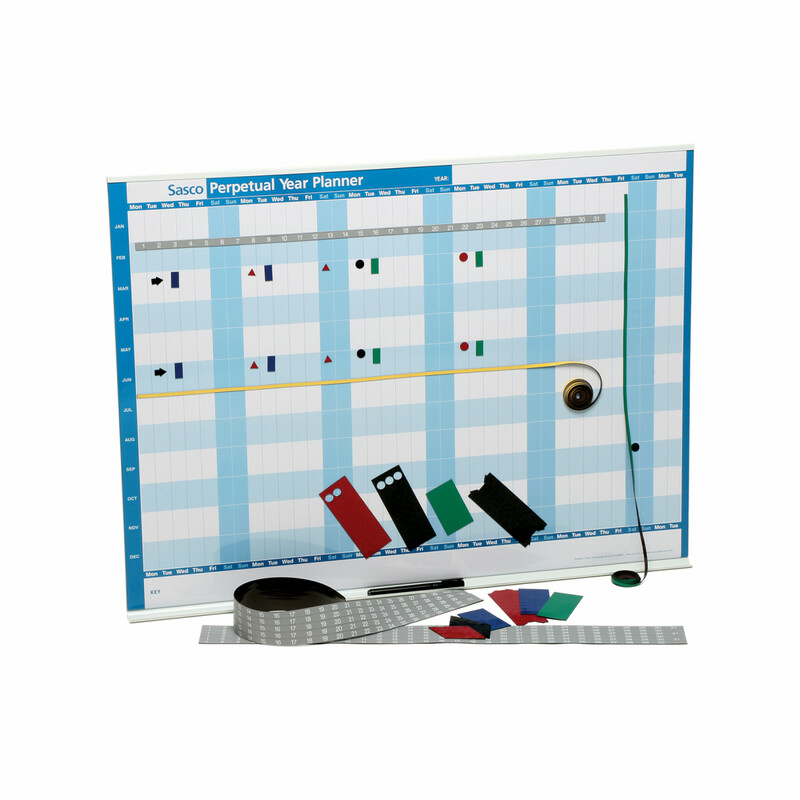 Easily changeable magnetic month and date scales. Comprehensive kit and mounting brackets. Format: months along side, days along top.